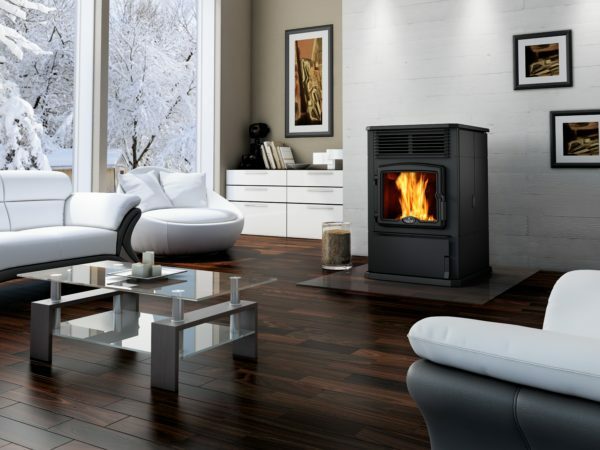 The Osburn 5000 pellet stove is the result of Osburn’s evolution in the design of advanced combustion systems using solid fuel sources. With its bottom feed technology, this unit offers an impressive reliability and flexibility regardless of the type of pellets you burn. The touch-screen control panel provides infinite possibilities while keeping the operation surprisingly simple. The clean and vertical look of the Osburn 5000 brings a modern touch to your decor without any compromise on the heat output and efficiency.